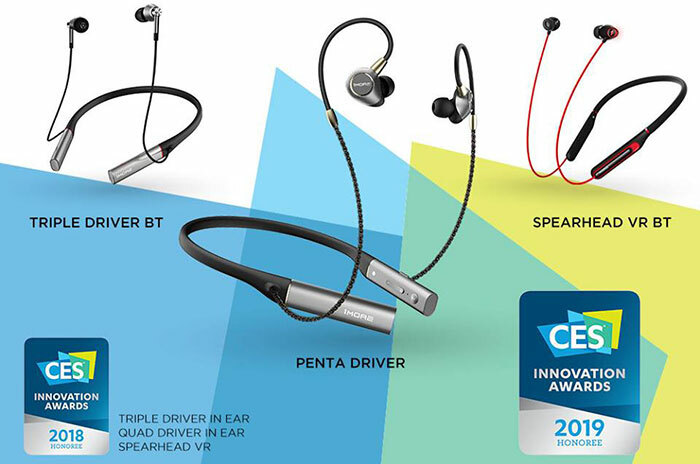 While wandering around the CES 2019, HEXUS was drawn to the 1More stand where there were headphones aplenty, crowned with an impressive three CES Innovation Awards this year. The audio accessories maker had on show the three prize-winning headsets; the current Triple Driver BT In-Ear ($149.99) and VR BT In-Ear ($149.99), plus the Penta Driver ($199) which is coming later in Q1. Tyler Runyon from 1More talked us through some of the firm's highlights at CES 2019. 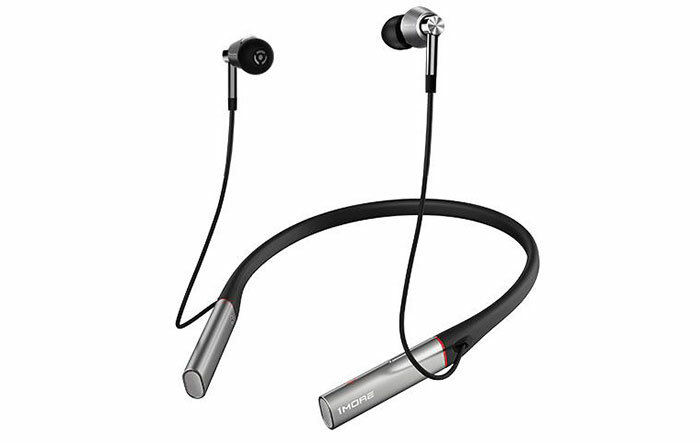 Runyon first told us about one of the current best-selling headsets from 1More, the Triple Driver BT In-Ear headphones (as listed in the award winners in the intro). We were told that the Triple Driver BT uses same hybrid acoustic design as the wired versions, so nothing is lost on that side of the audio equation. All the great qualities of the wired version of this 'lauded' headset have been brought over (hybrid acoustic design, ergonomic fit, durable build, handy multifunctional controls, ENC [environmental noise cancellation] mic ) and the goodness of wireless technology added in to the mix. As a portable wireless product one must consider battery life. 1More says that the average run time is 7 hours and users can charge these fully within an hour, or a 10min fast charge gets you 2 hours. If you like the sound of this product, as it is an existing design you can order them direct and read through the official product pages at your leisure. 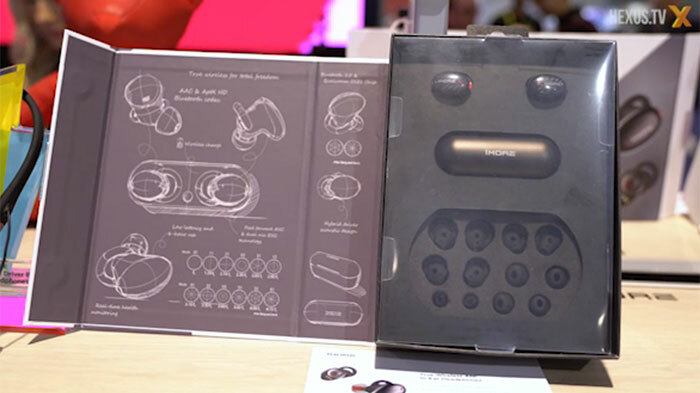 New at CES 2019 are the True Wireless ENC In Ear headphones. 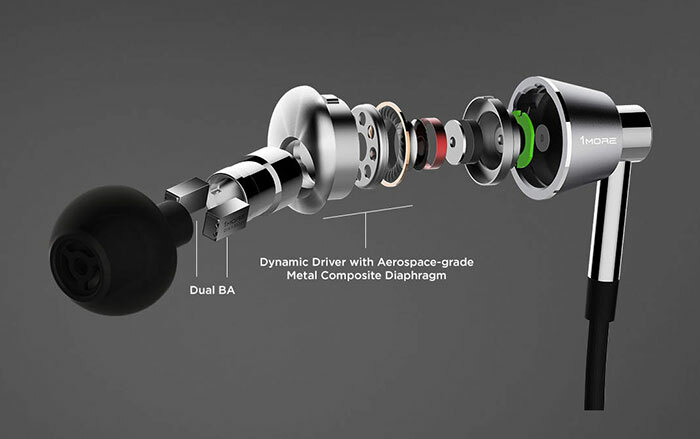 1More claims that these will be the first such headphones; utilising dual-drivers, plus Qualcomm's 5121 audio SoC. Runyon touted a seven hour battery life for this headset. However, thanks to the included charging case you get an additional 24 hours of portability. There are smart functions available. For example, the headphones include realtime health monitoring. If you like or wish to use smart-assistant AI on the go the True Wireless ENC In Ear headphones are compatible with Siri, Google Assistant, or Alexa. Some technical details are that these headphones support BT 5.0, Apt-X HD, and AAC codecs. At CES we were told that 1More would run an IndieGogo campaign to launch True Wireless ENC, with availability from around June time. Product retail price is expected to be around $149. Wireless headphones that still have… …wires.